Pairing Autoize’s open-source expertise with the Cycle.io platform enables businesses to deploy complex, multi-part open source solutions with ease. Reno, NV – Oct 8th, 2018 – Cycle.io, an up-and-coming container orchestration platform, and Autoize, an open source consulting firm specializing in cloud architecture, today announced a partnership to streamline the deployment of complex open source applications for businesses. Through this partnership, businesses can easily deploy from a range of supported applications including cloud storage, file sync & share, and team collaboration tools. Autoize is able to provide support during every step of the process — from deployment and integration with existing systems to security and maintenance. Using the Cycle.io platform, each business gains the benefits of owning a secure private cloud while foregoing all of the complexities and resource commitments usually associated with owning a private cloud. On these clouds, Autoize’s turn-key open source applications are deployed assuring visibility and control over the health of the infrastructure at all times. About Cycle: Cycle.io is the ultimate platform for infrastructure management and container orchestration. From startups to large established companies, businesses of any size can use Cycle to reap the performance and security benefits of a bare-metal private cloud. Within 15 minutes, and without producing a single line of code, these organizations can begin deploying containers with the peace of mind that physical separation exists between their data and the rest of the internet. 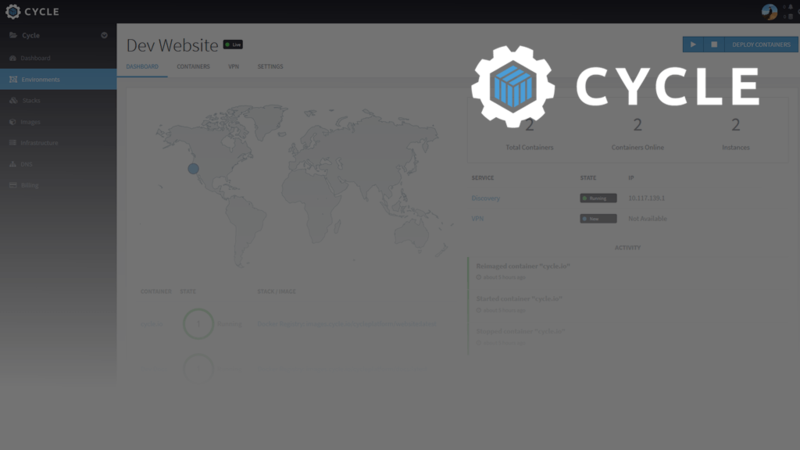 Launched in February 2018 and located in Reno, NV, Cycle.io has already seen businesses from e-commerce startups to large development agencies begin utilizing its platform for simplifying their deployment processes while simultaneously modernizing their infrastructure. Cycle is a member of The Linux Foundation as well as the Open Container Initiative. Cycle.io is a subsidiary of Petrichor, Inc.
About Autoize: Autoize is a leading open source professional services firm, empowering organizations to confidently deploy & maintain self-hosted, open source applications on the hybrid or public cloud infrastructure of their choice. Founded in 2016 with a globally distributed team of cloud architects, Autoize has become recognized as a leader in the open source consulting space, developing best practices and tools for administering marketing/CRM, cloud storage, team collaboration, and DevOps tools and contributing them back to the community. Autoize’s clients include companies in the retail, manufacturing, real estate, financial services, and legal verticals from the US to Europe and Oceania, including organizations with unique data security or compliance requirements (such as complying with GDPR). Autoize is a managed service provider that works alongside its clients’ in-house IT professionals and key decision makers to reduce the risks & uncertainties of adopting open source applications, while avoiding the lock-in and data portability issues of SaaS subscriptions.